Hood River Adopt A Dog provides appropriate and humane services which meet the needs of dogs and the Hood River community. 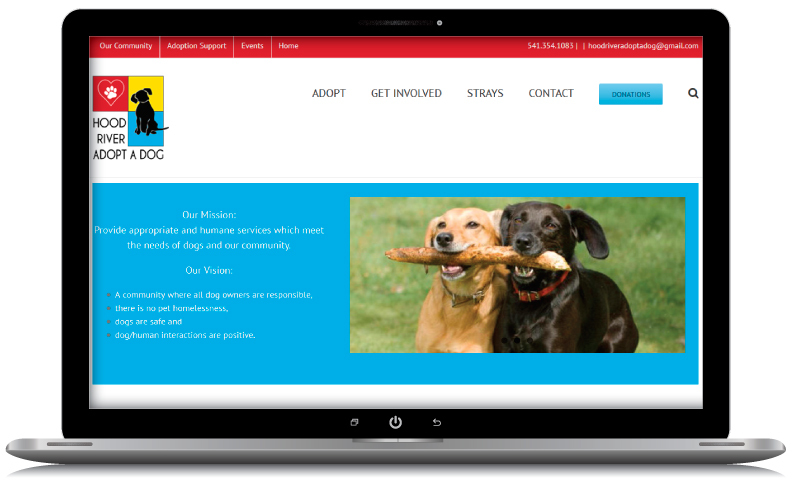 Webrock Design helped HRAAD clean up and update their existing wordpress site. Webrock continues to give back to the community by helping HRAAD with maintenance and updates as needed, pro bono.